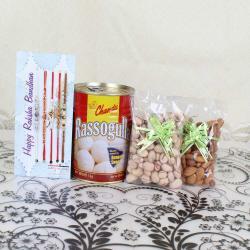 Product Consists: Chandu Halwai Rassogulla Pack (Weight: 500 Gms) and Dry Fig (Weight: 100 Gms) along with Rakhi. Raksha Bandhan is one of the fabulous festivals to build a relationship between sister and brother. On these festive seasons, the online portals have come up with sweet, delightful hamper and dry fruit that fill with sweetness in a relationship. 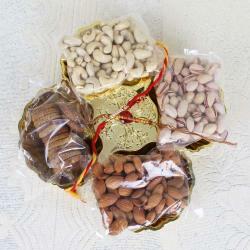 To commend this occasion, you have to send Rakhi sweets hamper online to your loved ones. As leading internet sites, they have plenty of collection of sweet nuts combo. 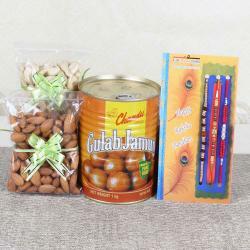 So, you have to hurry to purchase this Rakhi Gift and Gulab Jamun online for your brother. 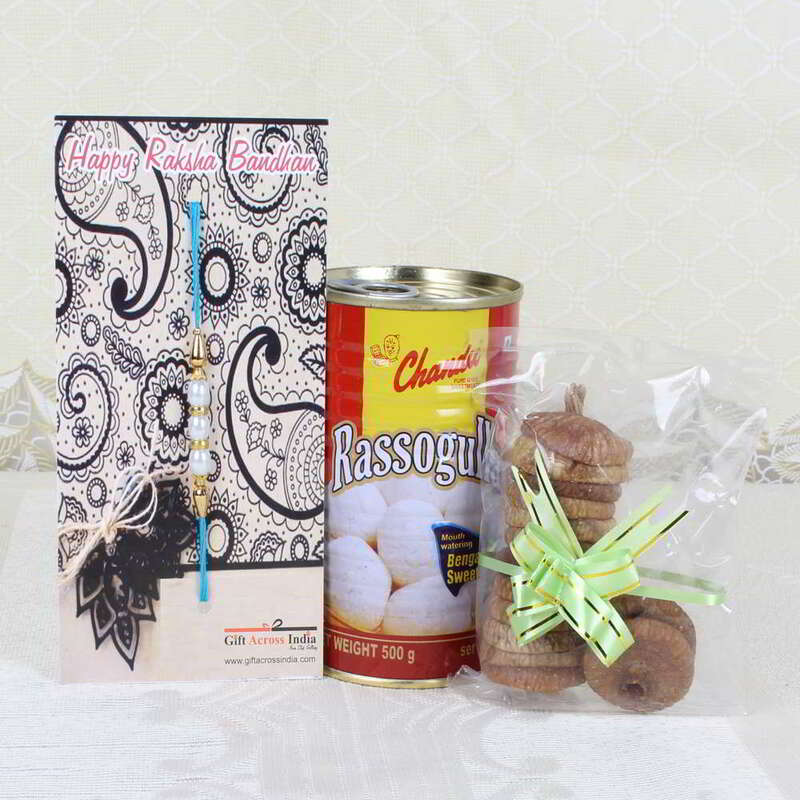 Product Consists of: Chandu Halwai Rassogulla Pack (Weight: 500 Gms) and Dry Fig (Weight: 100 Gms) along with Rakhi.